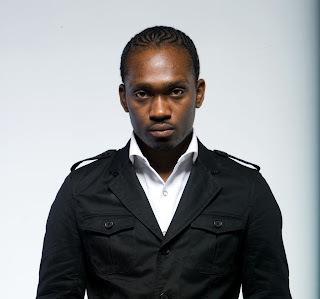 iDancehallReggae.com::Caribbean Lifestyle Media::: BUZz: FIRST BUSY SIGNAL MAKE THEM STAMMA...NOW THEY SPEAK SPANISH! BUZz: FIRST BUSY SIGNAL MAKE THEM STAMMA...NOW THEY SPEAK SPANISH! Busy Signal is one of the best Dancehall artists whose versatility has made him one of the most sought after artists. Whether implementing the soulful importance of the Commodores Night Shift on his song of the same name, or his lyrical versatility connecting with fans young or mature such his mastery with Reggae Queen, and member of the I-Three’s, Marcia Griffiths on the song Automatic, Busy Signal knows what buttons to push, and where. His third album for the VP Records imprint, D.O.B , gives listeners Busy’s extended versatility, and also sees the young star break new ground with a Latin audience by teaming with Elvis Crespo for the chune Suavemente Busy’s second release following Sum’n Ah Gwaan featuring Bounty Killer. Based off of Crespo’s 1998 hit record Suavemente Busy introduces authentic dancehall to a new Latin audience by performing lyrics over the fast paced backdrop of trumpets, a salsa drum beat and piano proving that there is no genre of music the award winner can’t add ‘busy’ flavor to. A recording like this has not been done by a Dancehall DJ from Jamaica in recent memory, especially with an artist of Crespo’s caliber being a Grammy award winning, platinum selling artist with this single. If Crespo’s success with the song is any indication, Busy Signal can look forward to a possible Grammy nomination for ‘Best Latin Single,’ and can look forward to hundreds of thousands of digital downloads by new fans via online portals such as i-Tunes. A nomination would mark the first time in Grammy history that a Dancehall artist is nominated for a Latin Recording. Busy recently returned from performances in Europe, one of which was the 2010 Uppsala Reggae Festival held in Sweden, where tens of thousands of people packed the venue to hear the artist perform. People from all backgrounds sang word for word with the lyrical master. Night Shift, One More Night and Peace Reign went over especially well, allowing Busy to hold the microphone out to the audience and have them sing parts of the song.